It is so annoying! But don’t worry! Today I will give you three ways to recover deleted contacts from iPhone 5. Step 5: Note that this will effectively remove all old information on your iPhone and get the backup data on your iPhone. If you had backed up contacts too in your previous iTunes backup, those will be restored to the iPhone and you should mostly recover that deleted contact now. If yes, you can now recover lost contacts from iPhone 5 easily. Step 7: Merge all data and wait for a while. After sometime, iCloud will have merged all contacts to your iPhone and the deleted one should be back! The above two methods are all based on the backup that you have made in iTunes or iCloud. But what if you have no backup anywhere? Is there still a way to restore iPhone 5 contacts without backup? Certainly yes! The only matter is that you should choose a right professional data recovery tool to complete the contacts recovery. Tenorshare iPhone Data Recovery is a good choice anyhow. It also provides the option to restore contacts from iPhone backup. Now we see the direct recovery option only. This doesn’t need any backup. Step 1: Download iPhone Data Recovery and run it. Connect iPhone with PC using a USB connector. Choose the first mode of “Recover Data from iOS Device” from the top menu. There will be progress windows for communicating with device to scan the lost data. After the communication is finished, all the lost data on the iPhone will be listed in categories. That means the tool can recover all the 11 kinds of file types. Click “Contact” to see the contacts details. Choose the listed lost contacts, click “Recover” and set a save path for the contacts recovered. 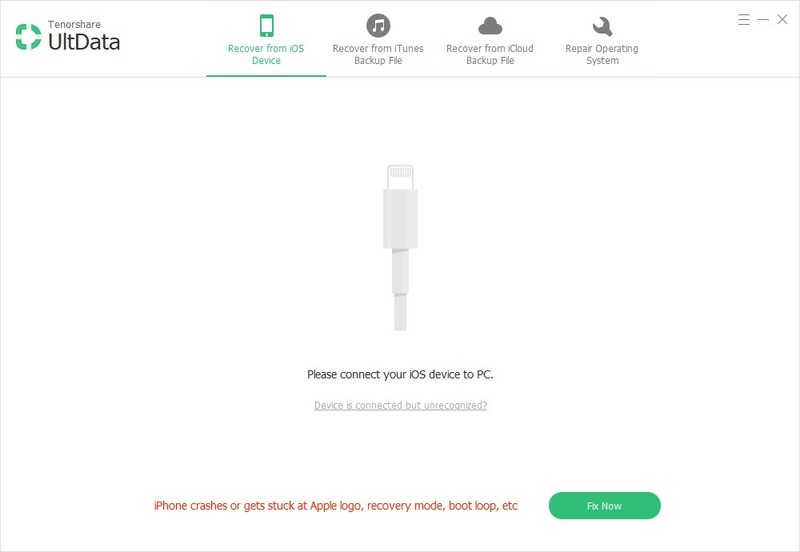 Now the three ways are all described, you can choose any one accordingly to complete your iPhone 5 contacts recovery. This entry was posted in iPhone 5 contact recovery, iPhone contact recovery, iPhone data recovery and tagged restore contacts on iPhone 5 on July 23, 2013 by Nana.